Compare and contrast massive transfusion protocols for adults, obstetrical, and pediatric patients. Discuss the complications of massive transfusions for each patient population. List the pharmacological agents that can be useful when a massive hemorrhage is suspected. Massive transfusion protocols have been developed to provide the best patient outcomes by administering the correct ratio of blood components and pharmacological agents available in today's market. Adults, obstetrical, and pediatric patients all have different needs during a massive hemorrhage. Patient outcomes, utilization of resources in a cost-effective manner, and education can all impact how this is accomplished. Through a literature review, this article outlines assesses the presence (or absence) of standard massive transfusion protocols for different patient populations in non-metropolitan areas where resources such as blood components can be difficult to obtain. Managing massive hemorrhaging in patients in a non-metropolitan area requires knowledge of current practices in massive transfusion, an understanding of what blood products and factor concentrates are available and their uses, and the different needs of each patient class. When managing a massively hemorrhaging patient, time is of the essence when activating an institution's massive transfusion protocol as many departments come together to manage the patient's care. Also, with institutions being challenged with soaring health care costs and resource utilization, it is imperative to determine the impact that the formation of massive transfusion protocols may have in the non-metropolitan area. For the purpose of this paper, a critical access facility is defined as a non-metropolitan area that is greater than or equal to two hours away from a blood supplier. The current definition of a massive transfusion for an adult according to the AABB (formerly known as the American Association of Blood Banks) Technical Manual is “the receipt of more than 10 RBC units within 24 hours.” The definition of what a massive hemorrhage entails depends on the patient type and will be defined in their respective section of this paper. Blood components required for a massive transfusion include packed red blood cells (RBCs), plasma, cryoprecipitate, and platelets. Pharmacological agents such as tranexamic acid (TXA), recombinant factor VIIa (rVIIa), and prothrombin complex concentrates (PCC) can aid in the management of bleeding during a massive transfusion. These pharmacological agents can be lifesaving when there is limited blood supply or when there may be a delay in replenishing the blood supply, which often occurs in a non-metropolitan area. Cryoprecipitate primarily contains fibrinogen, Factor VIII, and von Willebrand factor, but the main use for cryoprecipitate in massive transfusions is fibrinogen replacement. Per the AABB Standards for Blood Banks and Transfusion Services, 30th edition, one unit of cryoprecipitate should contain a minimum of 150 mg of fibrinogen to be acceptable for transfusion. Fibrinogen is used in the primary and secondary stages in coagulation. Platelets require fibrinogen to function and for clot formation. Cryoprecipitate is stored at −18 °C for 1 year and once thawed it is stable for 4 to 6 hours at room temperature. Cryoprecipitate does not have any compatibility requirements for transfusion; therefore any ABO group is acceptable. Cryoprecipitate carries the risk of infectious disease transmission to patients. Platelets are stored at 20-24 °C with constant agitation for 5 days before they expire. They are either collected as a single donor apheresis unit or derived from a whole blood donation. Approximately five whole blood derived platelets equate to one single donor apheresis platelet. Due to their short life span, platelets are harder to acquire and maintain adequate inventory, especially in remote areas. There is also a higher risk of bacterial contamination than other blood components due to their warmer storage temperature. In a patient with a massive hemorrhage, it is recommended that platelet counts be maintained above 50,000/mcL to ensure proper clot formation. Whole blood has been used in massive transfusions of traumas but primarily in a military setting which is monitored by different regulatory agencies. It is difficult to obtain fresh whole blood for a massive transfusion since these types of events are usually not planned events. Whole blood, according to the AABB Standards, needs to be “ABO group-specific” for the recipient due to the anti-A and anti-B antibodies located in the plasma of the donor. Although some institutions will use Group O whole blood with low anti-A and anti-B titers, this does not seem practical in a massive transfusion setting due to staffing and time constraints to perform such testing on the units. When a massive transfusion protocol is initiated and the patient begins to receive blood products, there are potential complications that need to be monitored. Citrate toxicity from the anticoagulant in the blood products is one complication to be aware of. Citrate toxicity occurs when the anticoagulant citrate binds the patient's calcium during the transfusion and causes low serum calcium levels in the patient. This can lead to depressed cardiac function and neurological issues. Complications that arise from citrate toxicity usually do not need intervention; slowing the rate of transfusion or administering calcium can aid in reversing any complications the patient may be experiencing. When large amounts of blood products are rapidly infused, hypothermia may occur. Hypothermia slows down the body's ability to maintain coagulation, affects platelet activation, and leads to cardiac complications.5 The patient may also already be in a hypothermic state due to shock, blood loss from the trauma, and exposure to the elements. Blood products should be transfused through a Food and Drug Administration (FDA) approved blood warmer to help avoid additional hypothermia or initiating hypothermia through blood transfusion. In the adult trauma patient population, early plasma delivery improves patient outcomes. Current guidelines recommend that a 1:1 ratio of red cell products to plasma products be given to keep the patient hemodynamically stable. Some studies have shown that a 1:1:1 ratio of red cells, plasma, and platelets could lead to better outcomes as well.6 In a non-metropolitan area, access to platelets are often limited to stock on hand to treat all patients and product replenishment does not happen quickly. There are conflicting opinions on when it is optimal to add cryoprecipitate in a massive transfusion protocol. 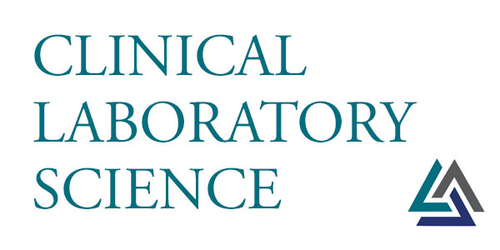 Some researchers or institutions leave it to the provider to decide and others have stated to transfuse cryoprecipitate when the fibrinogen level reaches 100 g/dL. This can also be dependent on if any anti-fibrolytic agents have been used in the treatment of the patient, such as TXA. To aid in proper product management and delivery, certain laboratory values should be monitored during a massive transfusion. The patient's coagulation should be monitored with fibrinogen levels, a pro-time (PT), activated partial prothrombin time (APTT), and platelet count.7 Thromboelastography (TEG) is not usually available in most non-metropolitan areas, but is a valuable coagulation monitoring assay if available. The patient's hemoglobin or hematocrit, potassium, ionized calcium and base excess are also important values to monitor since they can show some of the early signs of massive transfusion complications that can arise from citrate toxicity and potassium imbalance. It has been recommended that these laboratory values be monitored every 30 minutes and many can be tested using point of care devices, which minimizes additional blood loss. Additional research is still needed for pediatric patients and massive transfusion protocols. This patient population has unique transfusion requirements making it difficult to have a standard massive transfusion protocol for all patient populations. In a non-metropolitan area, strong consideration should be given to having TXA easily available to providers that provide obstetrical and trauma care. This has been shown to improve care for the patient, stabilize coagulopathies, and be cost effective by reducing the amount of blood products used. In addition to TXA, cryoprecipitate should be available at all non-metropolitan facilities providing obstetrical care. A final piece to implementing a massive transfusion protocol in a non-metropolitan facility is education. Providers and laboratory staff need continuous education in regard to available blood products, their uses, and preparation time. Providers should also receive additional education from pharmacy professionals regarding pharmacological agents available and their uses in stopping a massively hemorrhaging patient. These recommendations can help improve patient care, aid in a successful implementation massive transfusion protocol, keep health care costs down, and manage resources wisely in the event of massive hemorrhage in a non-metropolitan area.
. Standards for Blood Banks and Transfusion Services. 30th ed. Bethesda (MD): AABB; 2016.
. How we provide thawed plasma for trauma patients. Transfusion. 2015;55:1830-7.
. Tranexamic Acid (TXA) in Trauma Patients: Barriers to Use among Trauma Surgeons and Emergency Physicians. Emergency Medical International document 4235785. 2017;2017 5 pages.
. Technical Manual. 18th ed. Bethesda (MD): AABB; 2014.
. Rossi's Principles of Transfusion Medicine. 5th ed. John Wiley & Sons, Ltd.; 2016.
. Management of Coagulopathy in Postpartum Hemorrhage. Seminars in Thrombosis and Hemostasis. 2016;42:724-31.
. Transfusion Therapy Clinical Principles and Practice. 3rd ed. Bethesda (MD): AABB; 2011.
. Effect of early tranexamic acid administration on mortality, hysterectomy, and other morbidities in women with post-partum haemorrhage (WOMAN): an international, randomised, double-blind, placebo-controlled trial. Lancet. 2017;1-12.
. Obstetrical transfusion medicine knowledge among faculty and trainee obstetricians: a prospective knowledge assessment study. Transfus Med. 2016;26:440-7.
. Massive transfusion in pediatric trauma: analysis of the National Trauma Databank. J Surg Res. 2016;166-72.
. Massive transfusion in pediatric trauma: We need to focus more on “how”. J Trauma Acute Care Surg. 2016;82:211-5.
. Adult-Based Massive Transfusion Protocol Activation Criteria Do Not Work in Children. Eur J Pediatr Surg. 2016;27:32-5.
. The effect of massive transfusion protocol implementation on pediatric trauma care. Transfusion Practice. 2016;56:2712-9.
. Massive Transfusion in Children. Transfus Med Rev. 2016;213-6.